Denied claims, underpayments, and patient failure to pay copays can hinder practice cash flow, meaning that you may face the prospect of continuously losing money. It is important to consider how you can prepare for these challenges to avoid significant pressures at the beginning of the new year. One important aspect for you to consider as you continue billing in the new year is your internal communication practices in your office or clinic. Are you being as effective as you could be when it comes to keeping up to date with billing throughout the year? Does your staff have a good system to alert other team members when they discover issues? Is your staff under too much pressure this year and unable to cope with the workload in 2018? It’s important to develop strong communications between the team to ensure that you can identify any issues and deal with them. Practices can end up losing valuable staff at key times if the pressure becomes too much for them, therefore better communications can help with staff turnover rate and a more efficient medical practice. Using billing software to automate processes can be a huge help for your office or medical practice. By using medical billing software, you can automate routine administrative tasks, helping with practice efficiency. With effectively automated processes, claims can be submitted quicker, which will improve your cash flow. You should prepare your practice by ensuring that your software is up-to-date in order to stay compliant and maintain billing efficiency. It is important to consider investing in upgrades and making sure that your current software isn’t obsolete, which can make the new year billing process inefficient. Outsourcing your billing can be an effective solution for practices. Medical billing companies have advanced in-house processes that, for example, ensure that you receive the maximum amount that each insurer pays as well as other advantages. In-house expertise can sometimes be limited when it comes to coding knowledge, which has become more and more complex and requires a greater level of expertise to achieve maximum reimbursement. A billing service company on the other hand will always have the most informed staff that keep up with the ever changing coding rules. There are many errors that can occur with the billing process during the year, from coding errors, to transposed numbers, and incorrect claim information. Outsourcing saves your practice time, speeding up reimbursement claims by checking for errors that slow down payments. 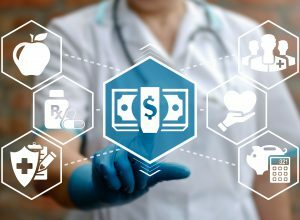 This helps your practice to build up an understanding of which insurance carriers make payments faster than others, or which patient services are the most likely to be challenged. This can help you with your billing planning and forecasting and lead to a smoother billing process throughout the year. By outsourcing your billing, staff are able to spend less time handling billing and collection, meaning that they are able to spend time on what really matters; building better relations with patients and improving the patient experience. For more information on how outsourced billing solutions can help to benefit your practice, contact us online or call us at 480-821-1371.